If you are a New Mexico resident in need of motor vehicle services, then you may have noticed how inconvenient it can be to visit an MVD in your area. Not only do these establishments often receive long lines and large crowds, but they can also be incredibly conflicting for your daily schedule if you are busy during the weekday. This can lead to undue frustration on your behalf, causing you to take time out of your day to join the same overcrowded waiting room that you were so desperately trying to avoid. Instead of wasting precious time waiting at your local MVD, consider paying a visit to MVD Express, New Mexico’s fastest and friendliest establishment for your motor vehicle service needs! 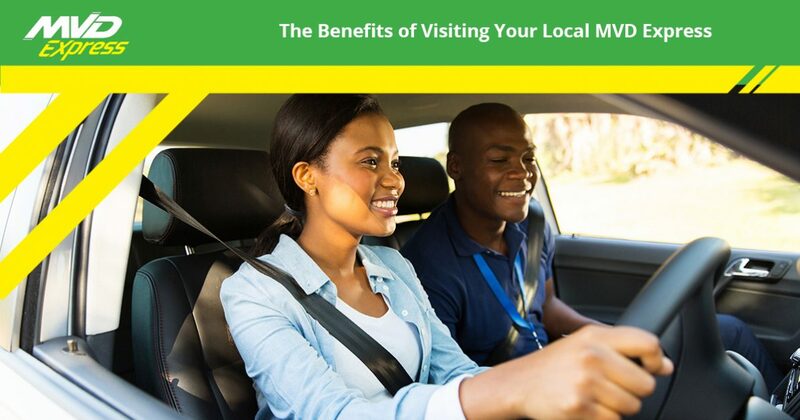 In today’s article, we will be discussing just a few of the many benefits that you can expect to receive when paying a visit to an MVD Express Near You. With 10 unique locations throughout The Land of Enchantment, we make it easier than ever to find an MVD Express in your area. From Las Cruces and Albuquerque to Gallup and Santa Fe, we know that you will be able to find the automotive services that you’re searching for at one of our MVD Expresses. We know that your time is valuable, which is why we are dedicated to helping you Get In, Get Done, and Get Going, so that you can spend less time waiting in overcrowded waiting areas, and more time on the open road! To learn more about some of the many benefits that MVD Express can provide you, then continue reading more on the subject below! One of the most valuable resources that anyone has, is their own time. During any given day, you only have so much free time to spend on taking care of important priorities. Instead of hamstringing your efficiencies by spending all day at an MVD, consider scheduling your appointment today at MVD Express! We make scheduling your next appointment quick and easy by simply using our online scheduling tool located on our website. Not to mention, that all of our MVD Express locations offer our guests minimal waiting times, as most individuals are seen by one of our friendly representatives in 15 minutes or less! This is just one of the many ways that we are able to offer you the most in value with the least amount of hassle! Similar to an MVD, at MVD Express, we are able to offer a complete lineup of automotive services that are sure to please. From VIN inspections and tag renewals to licensing issuance and driving exams, all of your automotive needs can be met with ease by visiting an MVD Express in your area. We work hard to ensure that you are more than satisfied with our customer service, which is why we work hard to provide you with the widest selection of automotive services that you would typically find at a traditional MVD location. If you are interested in learning more about our full offering of services, simply visit our website today! We know that it can be stressful when visiting an MVD near you. Tensions can be high after waiting in a crowded area for extended periods of time just to be seen by a representative. For this reason, we are committed to providing you with the most enjoyable experience possible, thanks to our friendly team of experts that are dedicated to providing you with the services you need to get back on the open road. Instead of settling for less than stellar service, choose the friendly professionals today at MVD Express! These are just a few of the many benefits that you can expect to receive at an MVD Express in your area. If you are interested in learning more about all that we have to offer you, get in touch with one of our team members today. Whether you need to schedule a last-minute appointment online, or if you simply have questions or concerns that you would like to have resolved, we are always available to help you in any way we can. Stop by an MVD Express near you today to be met with fast, friendly, and affordable motor vehicle services!